Come travel with us to Malawi, "the warm heart of Africa", July 6 - 20, 2019! We're heading to one of the poorest districts in Malawi, Africa to experience the amazing work God is doing to bring about sustainable transformation. Come travel with us to Malawi, "the warm heart of Africa", July 6 - 20, 2019! Y-Malawi believes when you put good people together, incredible things happen. The central tenant of Y-Malawi's work is supporting local African ministries who know their communities and people best. They know what works and what doesn't. This synergy of working together means improved productivity, less duplication and greater impact. 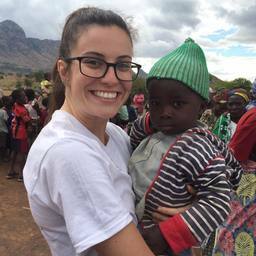 This extraordinary trip will focus on the specific work being done in a region called Nkhotakota, to empower women and girls in the areas of education/literacy (staying in school), micro-finance/savings and loan/entrepreneurship, health/nutrition, agriculture/farming and evangelism/discipleship. We'll travel to remote villages to observe the work in action and encourage and pray for the people we encounter. - 57% of the people have never attended school. Together with our Malawian partners, we have seen the need and felt God's call to step out in faith and deliver on His promise to care for His sheep. We hope you will consider joining us on this journey! Total cost for the trip is $3,700, which includes airfare, lodging, ground transportation, meals and a 2-night safari (credit card fees excluded). We can help you with fundraising too using Pure Charity to allow you to receive and monitor online donations!